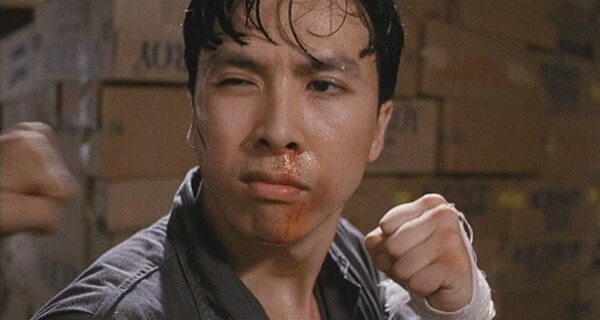 Yuen Woo Ping's in name only sequel to his original Tiger Cage was my introduction to Donnie Yen. In the subsequent years Yen's career went through ups and downs, before reaching his current position as the God of Hong Kong cinema (at least in his own eyes!). I was blown away by this film on that first viewing but how does Tiger Cage II hold up twenty years later? 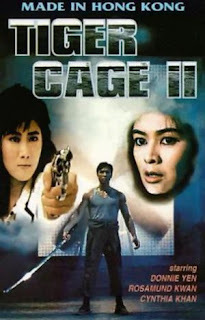 The plot of Tiger Cage II is paper thin, it concerns a suitcase full of Triad money, to be laundered by a firm of lawyers, led by Waise (Robin Shou). Dragon Yau (Donnie Yen) is an ex-cop having a bad day, he signs papers to divorce his wife and then he gets caught up in a robbery attempt , targeting the case full of cash. 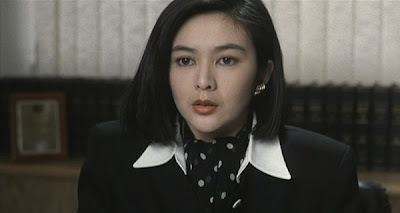 As if that wasn't bad enough, he then becomes a murder suspect along with his wife's solicitor Mandy Chang (Rosamund Kwan), as the mastermind behind the robbery attempts to cover his tracks by killing Mandy's colleague who has discovered the truth. Framed for the killing, Dragon and Mandy are left with little choice but to go on the run and try to clear their names, struggling to stay alive as they are hunted by the robber's henchmen. It maybe a little unfair to criticise the film for it's plot, after all many classic Hong Kong action movies of this vintage weren't especially well written but in Tiger Cage II's case the writing is particularly weak. The whole thing feels completely thrown together, as though they had ideas for a few fight scenes and they'd make the rest up along the way. 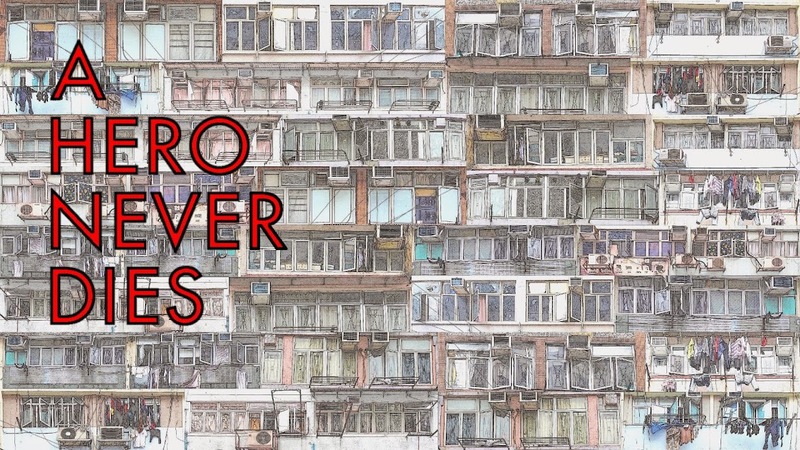 Again this wouldn't be the first movie to be made like this in Hong Kong, and isn't the film's major failing, what is, is the irritating pitch of the attempts at comedy to plug the huge holes in the writing. I'm afraid it's mostly Donnie's contribution at fault for this, as he mugs his way through scene after scene of painfully unfunny face pulling. Rosamund Kwan's character fares little better in this regard, although it's slightly less annoying from her as she's better at it. Another issue that does the film no favours is the terrible and largely inappropriate synth score, sounding like it was knocked up in around half an hour on a budget Casio keyboard. Hailed by many as a classic of Hong Kong action cinema, seeing the film once more it does not deserve classic status by any means. It has some good moments but much of the action looks to be under cranked, and the props used during the fight scenes look ever more dubious with the increase in image quality of the Fortune Star remaster. My pick of the action sequences is the fight where Donnie and Rosamund are handcuffed together and he uses her as a weapon, the choreography of this scene is spectacular and Kwan deserves plenty of credit, as she takes a real battering. It looks like little makeup was required afterwards, as the bruising on her wrist and legs is clear to see. To answer the question posed at the start of this review, the simple answer is Tiger Cage II has not aged at all well. I came to the film with fond memories but found it to be lacking in most areas, it's decidedly average at best . Compared to Yuen Woo Ping's original Tiger Cage (which also featured Yen), which certainly does hold up, this sequel's standing drops further still, yet Tiger Cage II is seemingly better known and held in a higher regard. Why? I really don't know, it's one of the universe's little mysteries I guess.